Diabetes in which immune system destroying cells or you can say it beta cells in the pancreas, those cells which makes insulin; destruction of these cells causes diabetes and destruction of these cells occur due to enough production of insulin which insulin helps body leaves to function normally. 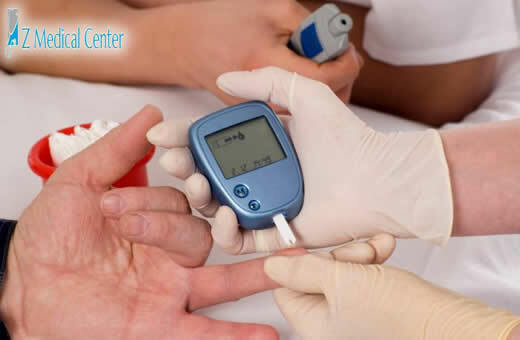 This type of diabetes are called Type 1 Diabetes and also called auto-immune reaction because in this diabetes or reaction, body attacks itself. Insulin is a kind of hormone which used by cells as a fuel and these hormones services to move glucose or you can say it sugar into our body’s tissues. It is also referred to Secondary Diabetes because of same conditions like secondary diabetes but except one thing, in secondary diabetes beta cells does not destroy by our immune system. Beta-cells rubbed out or sponged by something else or by any disease or injury to our pancreas. What happened in Diabetes type-1? Dehydration of body: When our body dries out due to lack of water in your body, water which came out from our body in a form of urine in excessive amount or many time then as usual. This process leads your body to dehydration. Loss of weight: When our urine takes out all calories in the form glucose, this process made loss in weight of those peoples which suffers from diabetes but this process depends on process of dehydration. Diabetic Keto-Acidosis (DKA): When the process occurs due to absence of enough amount of glucose which needed by our body for fuel, chemicals produces which called as ketones. After the production of ketones, large amount of sugar releases which stores in our liver, by our liver but our body unable to use it without insulin so it mixes with our blood along with ketones of acid. Combination of that acid with dehydration and presence of extra glucose knows as Keto-Acidosis and it can threat our life if we will not treat it on time and in right way. Damages in our body: When level of glucose increases in our blood, it can harm the nerves of our eyes, kidneys and small vessels of our heart which lead us to heart attack. 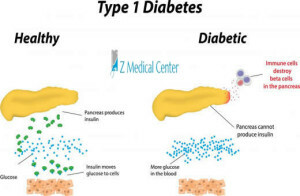 Which persons can be victims easily of Diabetes type-1? Most rare diabetes, approximately 5% in the world. Chances of victims in both gender (M/F) is equal. Not any age limit, start from any age and usually it starts from age of under 20. Immune system control by a an environmental virus which go after for pancreas (Auto-Antibodies). Cuts and bruises don’t heal properly or quickly. More skin and/or yeast infections. Gums are red and/or swollen – Gums pull away from teeth. Numbness or tingling, especially in your feet and hands. Keep ideal level of blood sugar prescribed by doctor. Healthy diet plan prescribed by doctors.